During the Apartheid years many countries overtly boycotted South Africa (while covertly trading when it suited them, of course). One outcome of this is that we ended up developing a number of interesting devices, from two-way radios to nuclear bombs. Somewhere along the way I acquired this helical filter. When my father in law saw it, he immediately identified it, so I asked him to write up the story. The need for a locally produced Two Way Radio for the various frequency bands came fro EMCOM Communications who hitherto imported from Australia (Weston), New Zealand (Tait) and USA (R.F. Johnson). The E.F. Johnson Fleetcom II was used as a basis for the design due to its use of a very high Q Front end and with a discreet Transmitter and Receiver board and a central Cavity resonator style front end. The S.A. 256 initial production hardly met international standards and suffered detuning of the front end due to vehicle vibrations. Later versions incorporated improvements. So much so that the Integrated Electronics front end was manufactured and modified as a separate unit for use at repeater sites where they were incorporated into the receivers to provide greater selectivity whilst only losing +- 0.5dB sensitivity. Q.D. 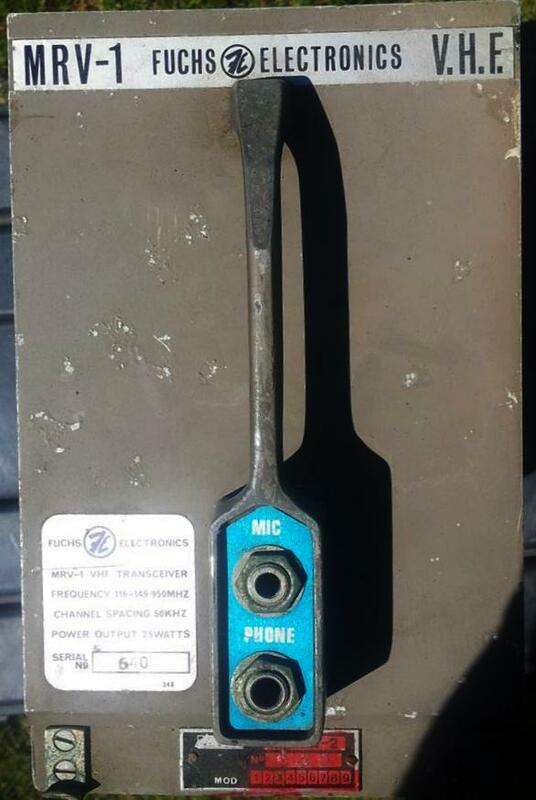 Electronics went on to become the biggest local manufacturer of mobile and fixed Two Way Radios In S.A. progressing from the SA 4001 (named after Durban postal code), the SA 8002 (twice as good as the 4001) to a range of units manufactured to modern world standards and as of today. Paul Meerholz and Henry Rubin were awarded honorable Doctor of Engineering degrees at the University of Stellenbosch in 1986. The following is translated from the programme of the graduation ceremony (Note. This was 1986. Propaganda alert). When the Fuchs organisation headed by Dr Fuchs and Mr Rubin entered the electronic engineering field in 1964, Paul Meerholz was chosen as joint leader of the ground breaking team. Fuchs Electronics was the first purely South African company that attempted and successfully concluded the design and production of military electronic equipment. After South African selected the Impala aeroplane, the American company who were to supply electronic equipment was ordered by the American government to boycott South Africa. To fill the gap, Paul Meerholz and Henri Ruben designed, built and flight-qualified the famous MRV-1 receiver in record time. This was a unique achievement, not only for South Africa -- this receiver, which is still being produced today, received international interest at the Paris airshow of 1968. A leading American company officially applied to manufacture the Meerholz-Rubin receiver under licence in the USA (The name contains M for Meerholz and R for Rubin. Many series of this receiver is still in production). 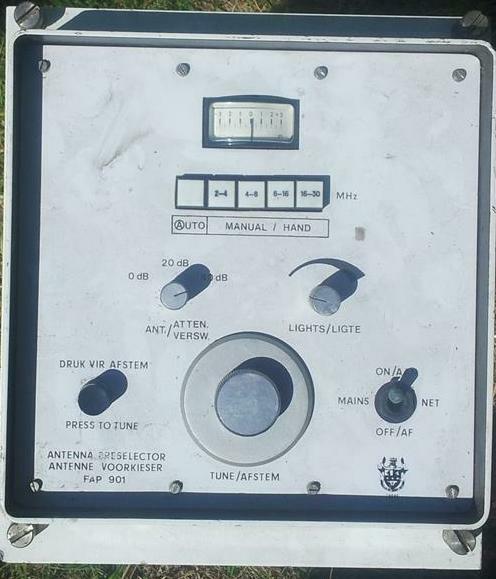 When South Africa started thinking of the production of more sophisticated electronic apparatus in the late sixties, the South African Military Board tasked Paul Meerholz with producing a local version of the French B-25 man-portable set. This set was radically improved by Meerholz and his team. The scope of this achievement is difficult to overestimate, not only in 1970 when production started, but even today, 16 years later. The production of the B-25 contained technology that was unknown in South Africa at the time. Foreign companies offered to solve the problem of establishing new technology for us by delivering completed subsystems, but Paul Meerholz and Henri Rubin once again recognised the necessity for establishing South African knowhow and against the advise of many senior engineers, they requested the University of Pretoria to help out with establishing this specific technology in South Africa. By moral and financial assistance this specific technology was established here and it is currently being used to replace imported units in army and air force apparatus under Paul Meerholz' leadership. These were used on the Dakota aircraft such as ZS-NTE (1943).